The 14 kW Wood Burning Chamane Stove from Invicta. 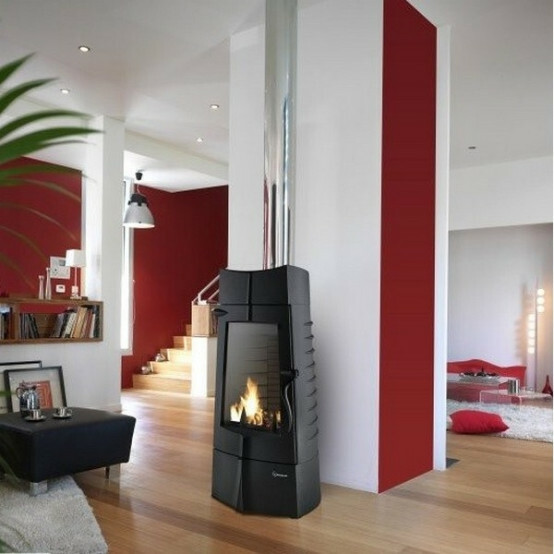 A true designer Stove the Chamane is an impressive focus to the modern living space. Invicta's Chamane features a large door window which bellows heat out into the room and a real design feature has been made of the fire chamber with beautiful detail to be seen everywhere including the back plates inside the stove and the very tactile handle. Typical of Invicta every aspect of the Chamane Wood Burning stove has been designed so that it attracts the eye. 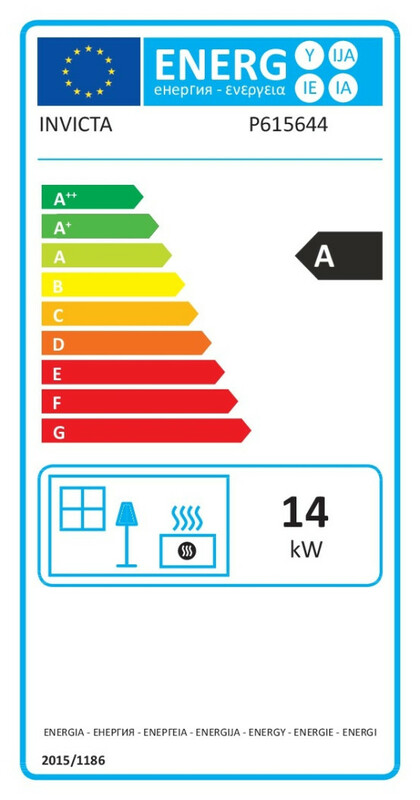 Please note when ordering flue for this stove it requires a 6-7 inch increaser and then 7 inch flue. The stove will need a twin wall flue system if it not being fitted in an existing chimney and will need to be sited on a constructional hearth. The flue diameter is 152mm inside diameter. I did alot of homework before choosing a fire and this one ticked all the boxes. It's a great feature...does exactly what it says on the tin, and more, and this was the best price anywhere for this burner. Well and truly pleased,,,thankyou GR8 Fires. This is a stunning log burner, and has exceeded my expectations. It can be difficult ordering on line, based only on a picture but this was every bit as striking as I had hoped. I wanted a contempary & modern fire, but which still fits in beatifullly with our tradional period house. It does not look out of place and everyone that comes in admires it - I am very pleased. In addition, the service received from Gr8fires was excellent - super quick deleivery and was consistenly updated on dates and times to be delivered. I would receommend buying from this company and would certainly use again. Thanks for a pleasant, easy and fabulous service. We bought this fire and it is everything we hoped for and more. It looks really stylish, throws out lots of heat, was easy to install and easy to use. We'd definately reccommend this to anyone. One small note though, you do have to have quite a big gap from the wall behind it which we didnt realise at the time and had we known this we may have positioned it slightly differently....but its still the most georgous fire. A very well made solid product with a fantastic look. Delivered in an impressive time.